Let’s create something beautiful through movement and colors. 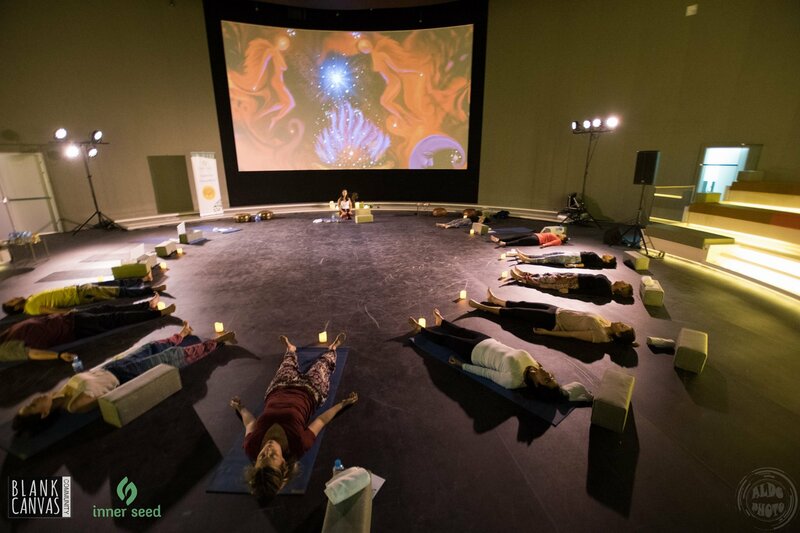 Inner Seed and Blank Canvas brought together a community to help express themselves by discovering and realigning their Chakras. This healing workshop is divided into 2 sessions, emotional and physical awakening followed by Therapeutic Art. Body movements and drawings are simply part of the human instinct to communicate and express ourselves. They are not only a great way to create something beautiful, but they are also a fantastic and creative way for relieving stress, enhancing creativity, developing problem-solving abilities, building leadership and social skills. Art therapy helps people express those thoughts, emotions, and experiences that may be difficult to speak about, those things that keep us from growing in a positive way. It is a form of psychotherapy involving the encouragement of free self-expression through painting, drawing, or modeling. Let’s experience new things, get a better understanding of ourselves, and let’s get growing in a positive way! Join us on our next ‘Express Yourself’ event with the colorful Blank Canvas Community, as we bring our attention to the 5th wheel of energy: The Throat Chakra. 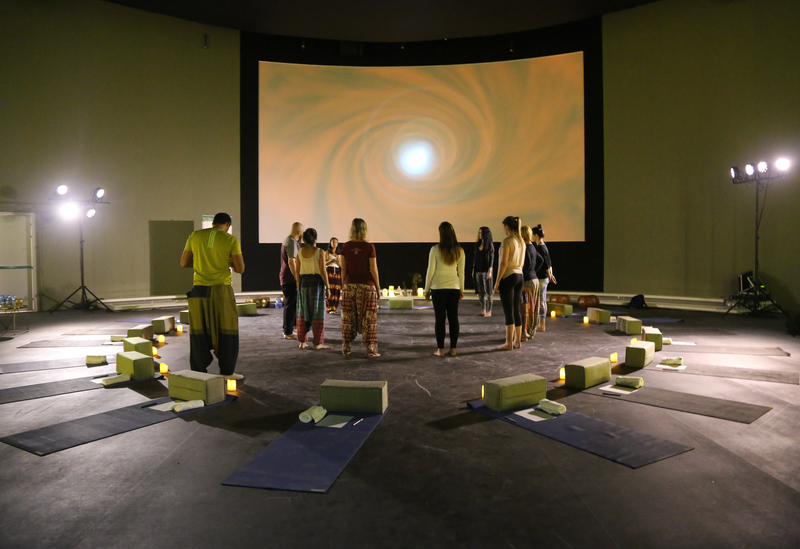 Express yourself with Inner Seed and explore what it is to feel balanced and grounded as we walk you through interactive group sessions and a healing chakra yoga sequence with like-minded people. 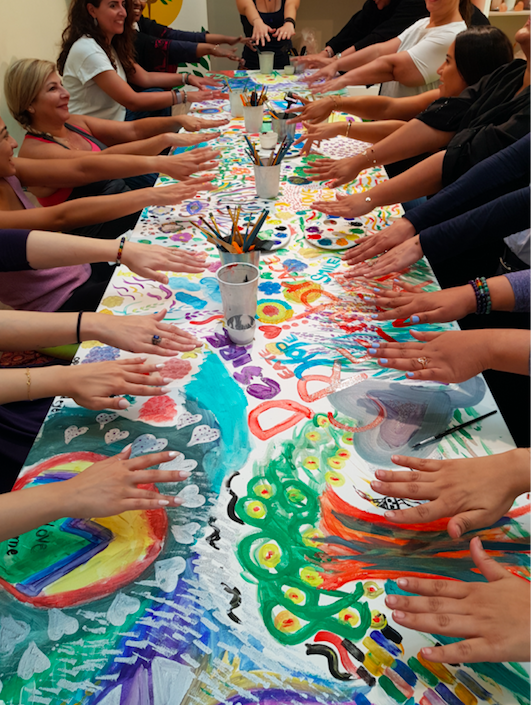 Once you’ve stretched your mind, body and spirit, you can join Blank Canvas for a collaborative painting session. Together we will re-awaken what is already known inside of you. Re-awaken to your essence, re-awaken to your beauty, reconnect with yourself and radiate your Chakras to everything and everyone that comes your way. When the fifth chakra is blocked there are several signs, both physical and non-physical, that can emerge. Physically speaking, an unbalanced fifth chakra can cause you to experience consistent fatique, headaches, and speech impairment. 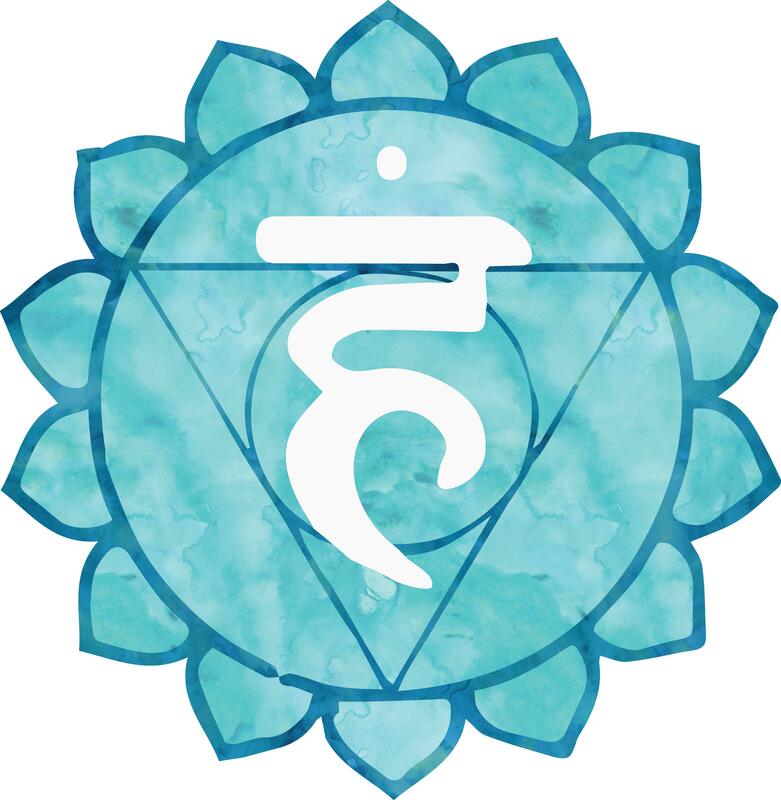 This Chakra is responsible for your communication, self expression and truth. Healing this Chakra allows you to express yourself with integrity. Doing and saying the things that you believe align with your morals and personal values. 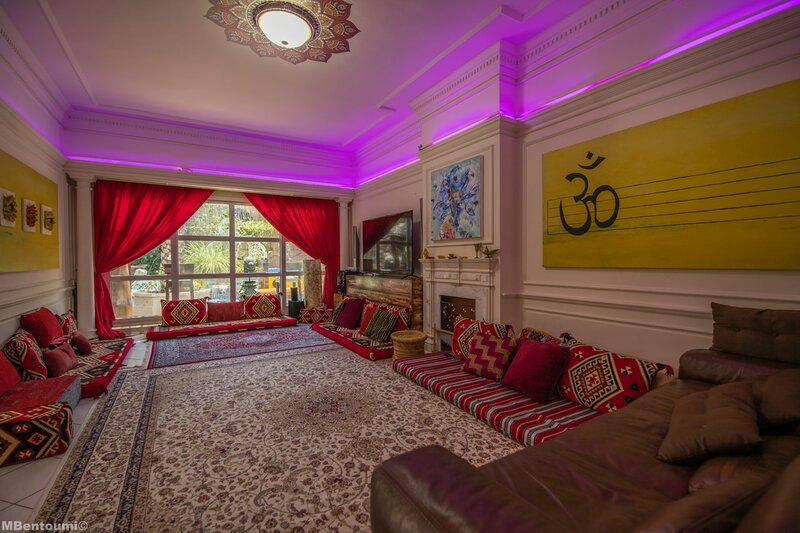 Taijitu House of OM is a community centre that aims to add more Positivity and Love to the universe via open house wellbeing and spiritual activities, workshops and supporting groups. We will gather around a blank canvas and express ourselves individually and collectively as we explore, unlock and realign the 5th wheel of energy. We will paint our vision, our perception of this theme and move around the canvas to build on one another’s artwork until we create a unified Art piece. Simultaneously, during the 90 minute session we will remain mindful and keep returning to our breath when our mind wanders. 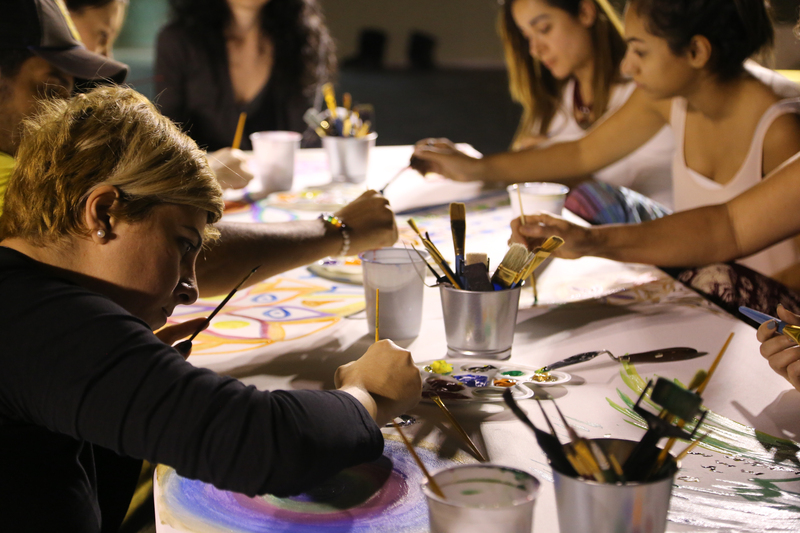 This experience of creative expression will help relieve any stored feelings inside of you and it will leave you feeling accomplished, connected, and peaceful. 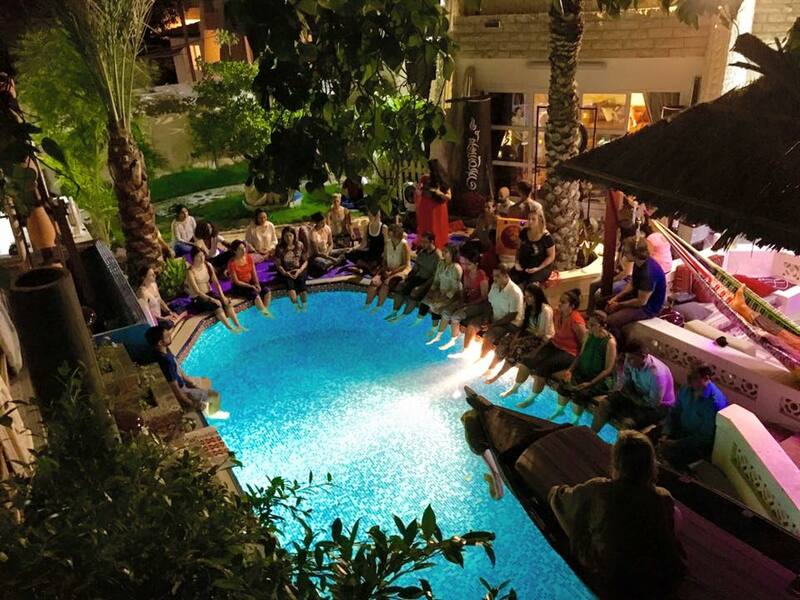 You will feel this deep sense of belonging, that you are part of something bigger and have contributed to the whole. Who: Mixed event, we welcome all you beautiful souls! No yoga or art experience required. 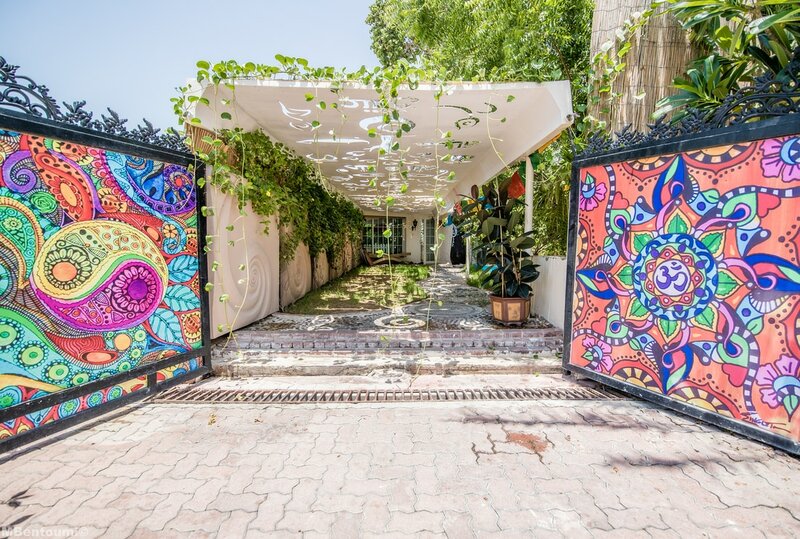 Where: House of Om, Jumeirah 1, Street 61 B, V 29, Dubai. 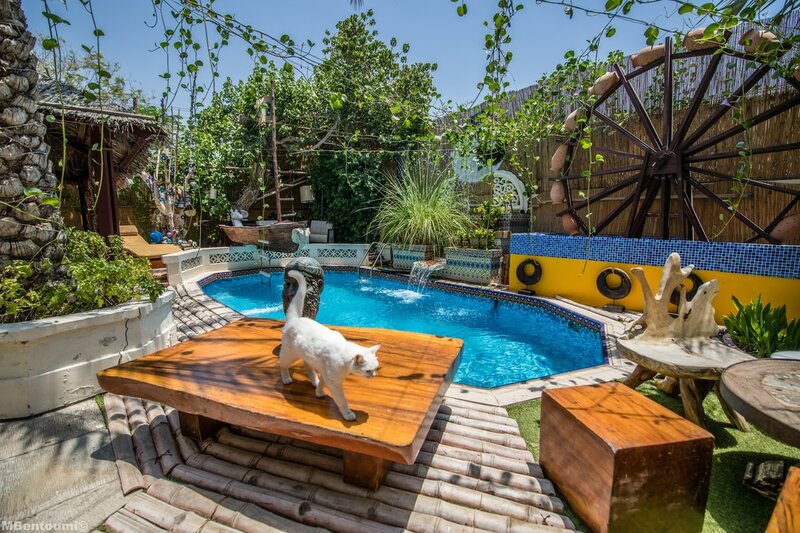 Cost: Payment before event date AED 250. Payment at event: AED 300.